Tracking employees working hours has always proved to be a cumbersome and costly exercise. Time clock software is increasingly being utilized to address the needs of companies as they develop in technology and cost/time efficiency. Every business has experienced time tracking mistakes and errors leading to unfortunate disputes over working time and pay, and so it is prudent for managers to invest in ways of increasing the accuracy and quality of time clock recording and reporting. Time clock software provides a very cost-effective way for businesses to meet these needs, by maintaining accurate records of working hours, to the nearest second, minute or hour, automatically making pre-defined adjustments for overtime, break or holiday periods. 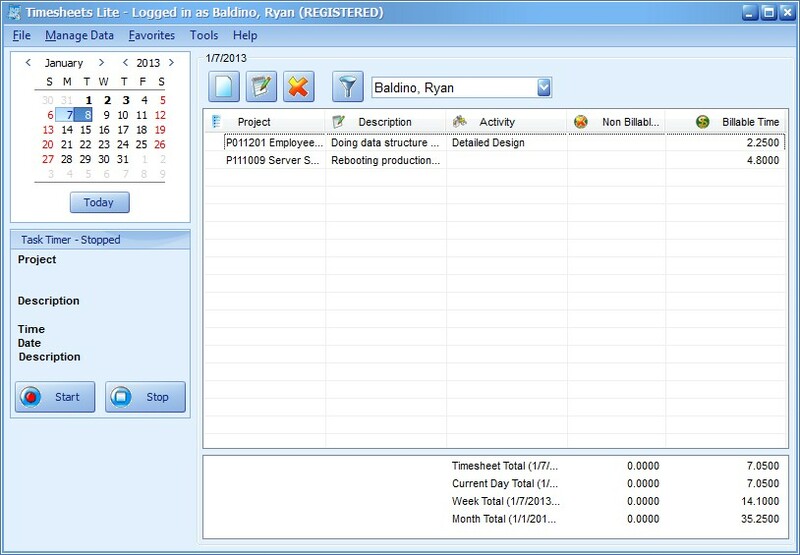 Time clock software also generates reports without hassle or confusion, providing the business with the capacity to produce accurate, up-to-the-minute reports that cannot be disputed. In developing and streamlining business management, company leaders have also found it necessary to eliminate the unfortunate habit of 'time theft' (over-reporting of hours worked), which exists within all organizations to some degree. Time clock software records the 'real time' worked by employees, as it requires them to manually log into the time clock system, by using a badge number that the time clock software attributes to their payroll and account details. Time clock software also provides the facility to require employees to enter a PIN number to correspond with their pre-defined badge details. Through this feature, time clock software gives the managers increased confidence that employees cannot clock in and out on each other's behalf, producing false claims of hours worked. Time clock software enables business managers to track the time of individual employees, but furthermore, the performance, in terms of time management, of departments, shifts or other staff cohorts. In this sense, time clock software supplies managers with a means of proactively managing their workforce. Time clock records and reports can inform all decisions about overtime rates, scheduling rules, financial forecasting and even holiday specifics. Time tracking through time clock software can lower business costs, by making payroll processing more efficient and by making salary and wage information more visible, so that areas of shortfall can be targetted for review. The potential disadvantage of using time clock software to track time is that employees may be upset about its implementation, perhaps perceiving that the time clock is a tool for the employer to beat them with! This concern is easy to resolve, however. Early and effective consultation can ensure that the employees see that the implementation of time clock software is in the best interests of the employee as much serving the needs of the company as a whole. They can be assured that one of the main purposes of efficiently tracking their working hours through time clock software is to enable the business to pay them fairly, eliminating the potential of unpaid hours or overtime. 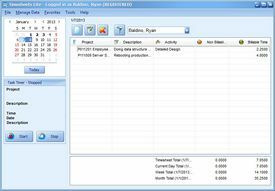 Time clock software provides a range of time tracking facilities to meet the needs of any business.